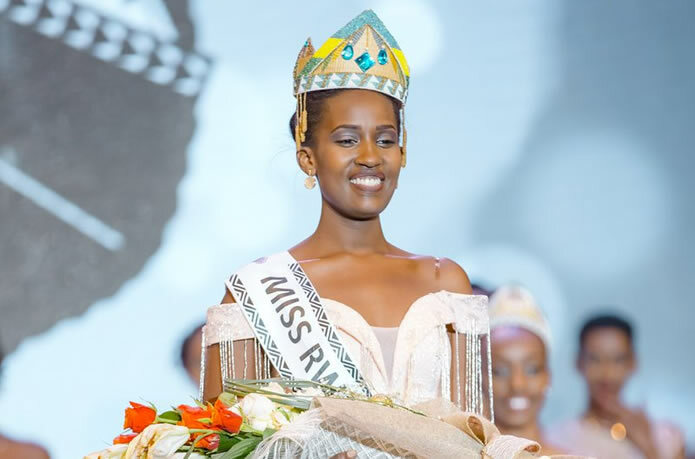 Rwandan beauty Meghan Nimwiza has been crowned the new beauty queen of the country after beating more than 14 others in the finals of Miss Rwanda 2019 held at Intare Conference Center. 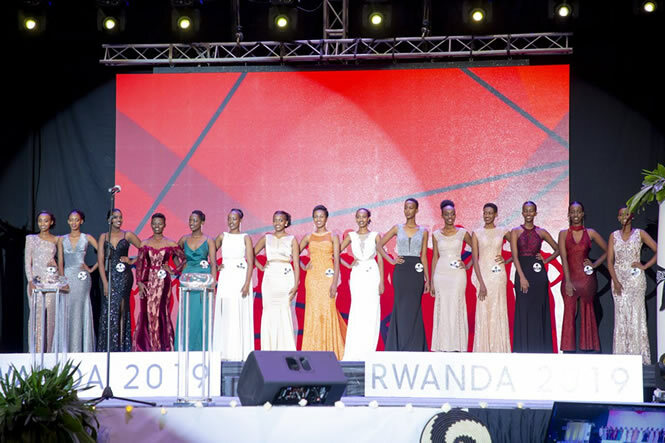 The search for Miss Rwanda 2019 had taken weeks as it has been in the previous editions, starting with the preliminaries at district level where a number of beauties went through a number of tests by a panel of judges regarding culture and knowledge of social economic issues of the country. 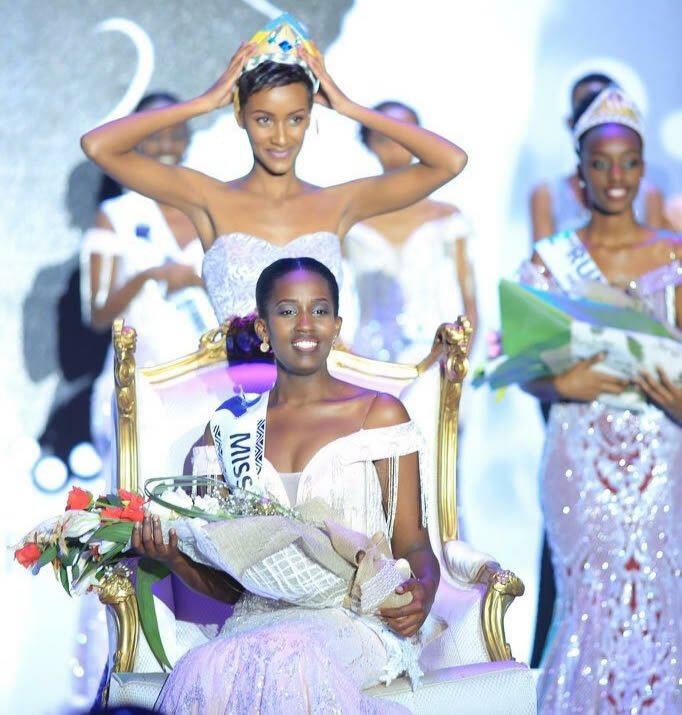 Nimwiza who represented Kigali succeeds Liliane Iradukunda, the previous holder of the title that she won in late January last year. 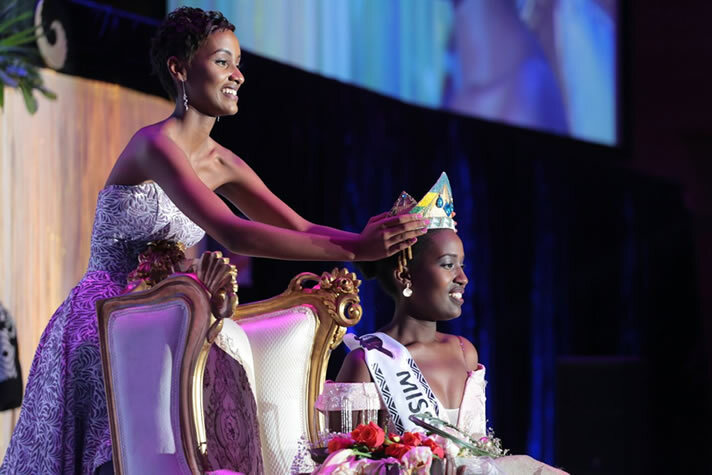 From the 15 that graced the finals, 5 contestants made it through to the final stage including Sangwa Odile who finished as the first runners-up, Uwihirwe Yasipi Casimir who finished as the 2nd runners-up, Kabahenda Ricca Michaella and Gaju Anita. Among other winners, Josiane Mwiseneza was crowned Miss Popularity reflecting her popularity among fans in the competition. 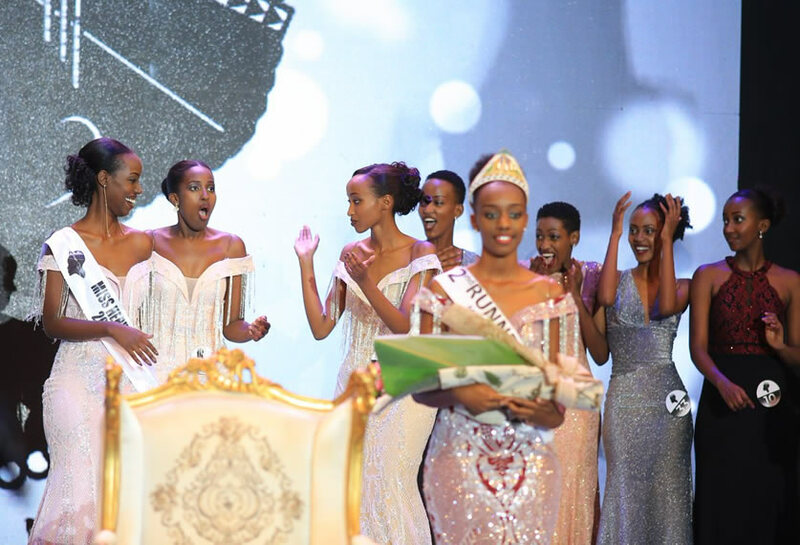 After being announced, the excited Nimwiza burst into tears of joy before thanking her supporters and family plus welcoming her fellow contestants to cooperate with her during her reign. 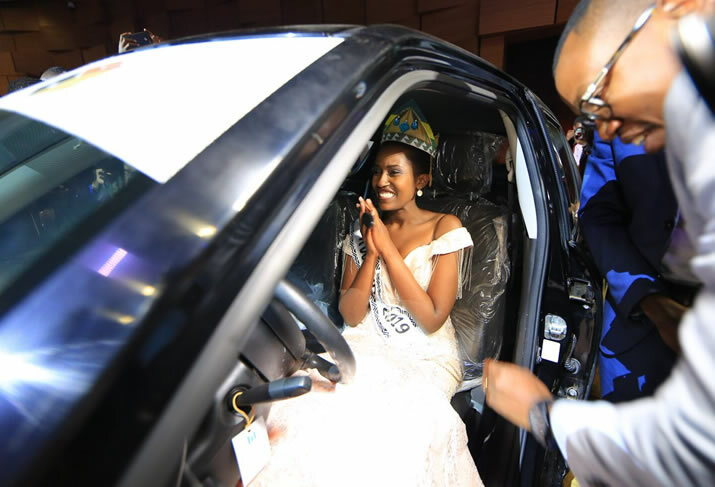 Meghan Nimwiza received a brand new car, (Suzuki Swift) and will also serve as the Cogebanque brand ambassador for 12 months in addition to receiving a monthly stipend of Rwf 800,000 (about $1000) among other perks. She also received goodies and offers from the competition’s sponsors such as flight tickets and spa vouchers among others.